Please enter a valid home selling price. Choosing to put your property on the market can be frightening. It is likely that your head is reeling with questions, such as what is the best price to sell my home, what are closing costs and agent fees and figuring out where you are going to live once the house has been sold. The intimidating questions regarding selling my home continue to roll in, which often stops some homeowners from moving forward. Do you know how to prepare your home for viewing? How do you feel about open houses? Do you know what an inspection entails and how you should address the findings. What types of marketing campaigns work best for the properties similar to your own? For most folks, their home is the biggest financial investment they ever make. When the time comes to sell it, the thought of making a mistake can strike fear in the hearts of most homeowners. After all, you certainly don't want to exit the process in the red. We offer to sell your home at 1% compared to 2-3% with other real estate agents. We make it easy and make sure you get the money you deserve from your investment. In order to get your home off the market and into the hands of someone else, you need to have a reasonable listing price or prospective buyers will skip over it with hardly a second glance. To start, you will need to know the value of the comparable homes around you. We have the tools at our disposal to process the data for recent sales via the local MLS System. We perform a comparative marketing analysis, and we account for multiple relevant factors to make sure we provide you with the best listing price possible. Whether you want to avoid selling at a loss, hope to make a sizable profit, or be in line to purchase your next home, we will use that information when developing a marketing plan. After we have figured out the pricing aspect of the sale, We will tackle your marketing needs head on, taking advantage of the best opportunities out there to showcase your property. Thanks to our background in marketing and real estate, we have plenty of experience to help with your promotional needs. Our campaigns start with high end photographs of your, traditional techniques, such as yard signs and open houses. And placing ads online and off-line resources to further boost your exposure. 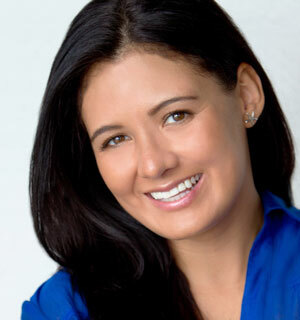 As Orlando real estate agents, we understand the region and how to find your the best deal that meets your needs. We can even help some people facing foreclosures in Orlando. Contact us today to find out how we can help you! Saved Our Customer $10,625 When They Sold! TJ and Maria professionally and timely addressed all our needs, 24-7. TJ is a Top Notch professional Real Estate Agent that is dedicated throughout the process, from having open house showings as requested, answering emails and phone calls, and being available to ensure the process is smooth and the deal is closed. TJ promptly pointed out the areas of concerns and price was reduced accordingly. He handle the negotiations with favorable and rewarding terms. If we have to do it again, we will select TJ. 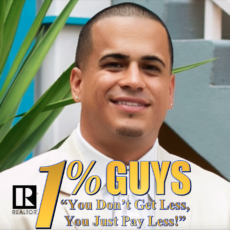 The 1% Guy approach is real and is by far the best savings solutions/program available for the Parties. The business approach worked for us, it will work for you. We saved $10,620 in commissions. TJ and Maria, thanks for all your hard work and welcome to our family. Your friends, Mary and Charlie. Saved Our Customer $2,925 When They Bought! We were out of state buyers, and TJ was able to show us over a dozen homes in a single weekend. TJ was very responsive, and we loved getting 2% back at closing. We had one little miss at the very end, but TJ was willing to make it right!